Recently, I was trying to do the simplest thing ever : download something from Unity3D’s Asset Store, using a web browser, but was only given the option to “Open in Unity”… What the heck? -Download only: this option is not always available. 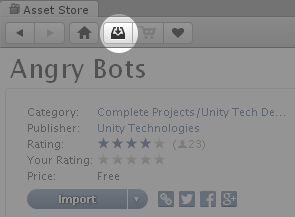 All in all, Unity3D Asset Store is unproductive, wastes a lot of time and its navigation is very unintuitive. But the content is very valuable. 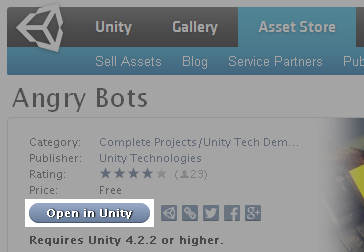 Finally, on Unity3D forums, you don’t have an easy way to access/view your own posts. My trick is to click on your own name to view your profile (from a post you made, ’cause you can’t even click on your account name to view it), then bookmark the page and use it when you need to browse your questions.